While we’re already aware that Assassin’s Creed Odyssey, is set in Greece during the Peloponnesian War, that doesn’t stop fans from digging around for clues regarding the franchise’s next setting. While nothing has been confirmed as of yet—especially since the latest entry of the long-running action-adventure franchise hasn’t been released—it seems we’re back to speculating that Japan could be the next Assassins Creed game setting. According to a post by Game Rant, a Redditor who goes by the username “DoktahManhattan” has pulled together a convincing theory, combing through Assassin’s Creed 3 to bring us the photo below. 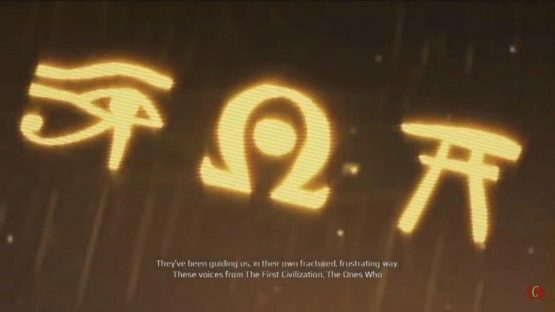 As shown, the image displays the Ancient Egyptians’ Eye of Horus symbol and the Omega letter from the Greek alphabet on a wall. But what’s most striking about this image are the origins of the first two symbols—Egypt and Greece, respectively. Both have been featured in an Assassin’s Creed game: Egypt in Assassin’s Creed Origins and Greece in Assassin’s Creed Odyssey. The last symbol closely resembles that of a torii, a traditional Japanese symbol seen on the entrances of many Shinto shrines. Though this may be a funny case of coincidence, Game Rant points out that Eastern—specifically Japanese—iconography has been seen in Assassin’s Creed before. As mentioned in the post, it’s possible to find plenty of cryptic messages written on the walls, including an allusion to the Japanese island of Yonaguni, the outlines of Mount Fuji, a torii, two Nara-style pagodas, and more. 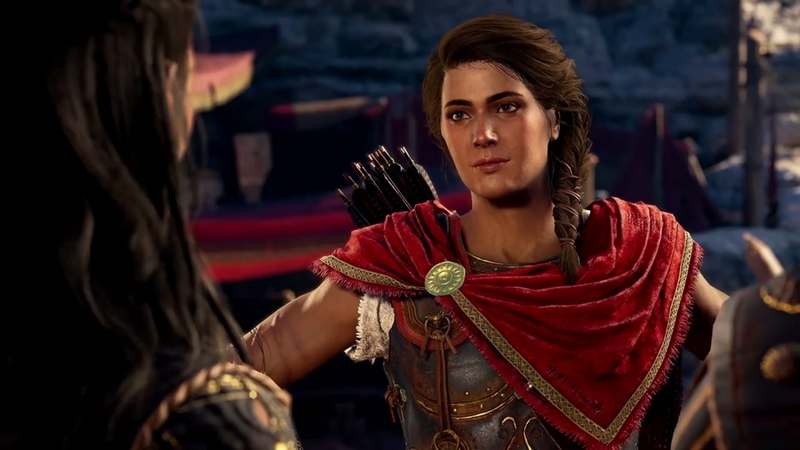 While the next Assassins Creed game could be set in Japan, there’s no telling when that could be, as EMEA Executive Director Alain Corre has confirmed that Assassin’s Creed Odyssey is a live service game. It also doesn’t help that Ubisoft Canada’s Executive Vice President, Lionel Raynaud, believes the lines between live games and sequels are getting blurrier. There’s really no telling how long we’ll be playing Assassin’s Creed Odyssey, and who knows when the next Assassins Creed game will come out. For now, the next Assassins Creed game, Assassin’s Creed Odyssey, will be available on the PC, PlayStation 4, and Xbox One on October 5, 2018.